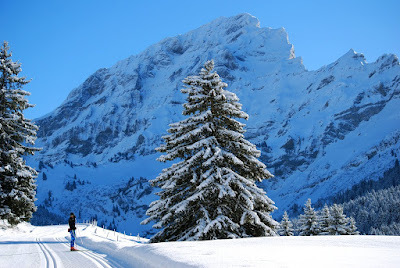 We spent three excellent and relaxing days in Villars, Switzerland, skiing and watching Sherlock Holmes movies. 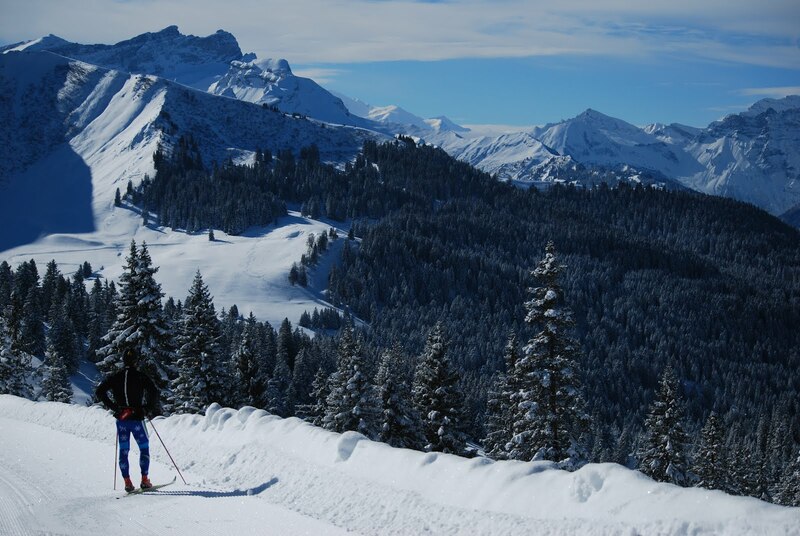 The skiing seemed dubious at first. 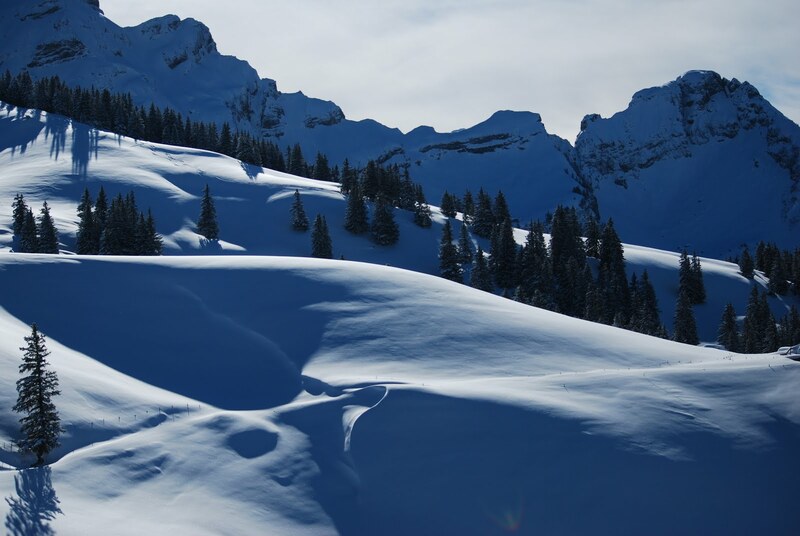 The ski trail began as a paved road and reluctantly transformed into a trail, but once we climbed to higher elevation, the skiing was beautiful, with consistent cover, long climbs, and winding downhills. Fresh snow preceded our last day of skiing in Villars and then the sun came out, revealing expansive views of massive, snow covered mountains. We found freshly groomed tracks and the day was stunning. Last Wednesday, we received word that La Transjurassienne was cancelled. Heavy rain and warm temperatures washed both the course and our French skiing experiences away. We quickly adjusted our plans and, disappointed that our 68 km race was cancelled, signed up for both the 50 km classic and the 50 km skate Koasalauf marathons in St. Johann int. 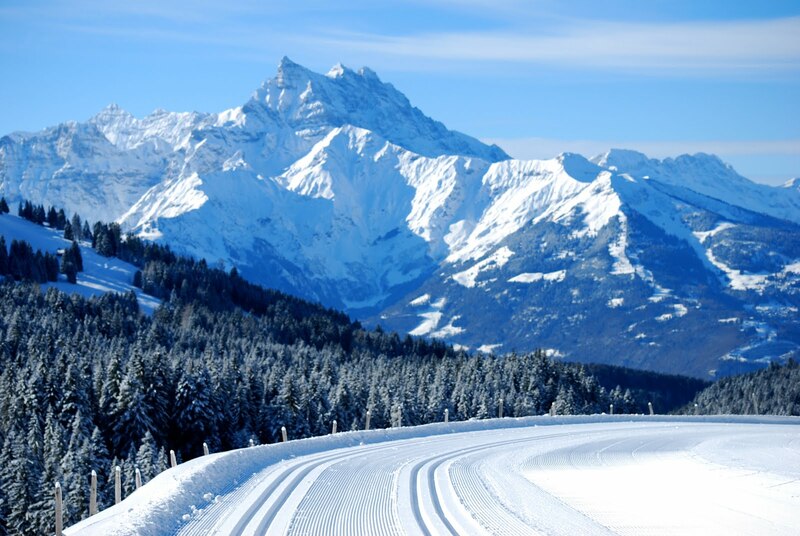 Tirol, Austria on Saturday and Sunday. The Koasalauf logo, maybe the coolest logo for anything ever. Our preparation for the Saturday classic marathon was unfortunate. 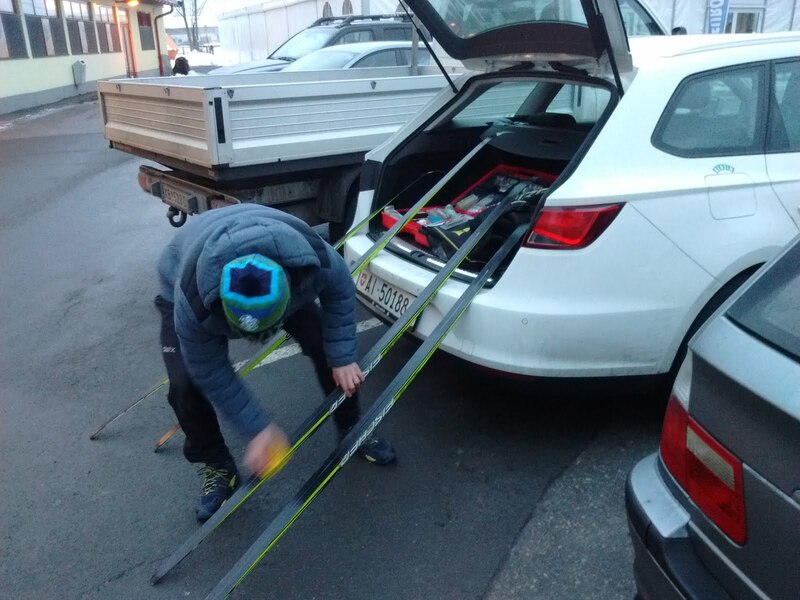 Unable to wax our skis at our B&B, which was patrolled by an exuberant but particular Austrian woman who spoke very little English, we tried to create a makeshift wax station at the race venue at 9pm Friday night. 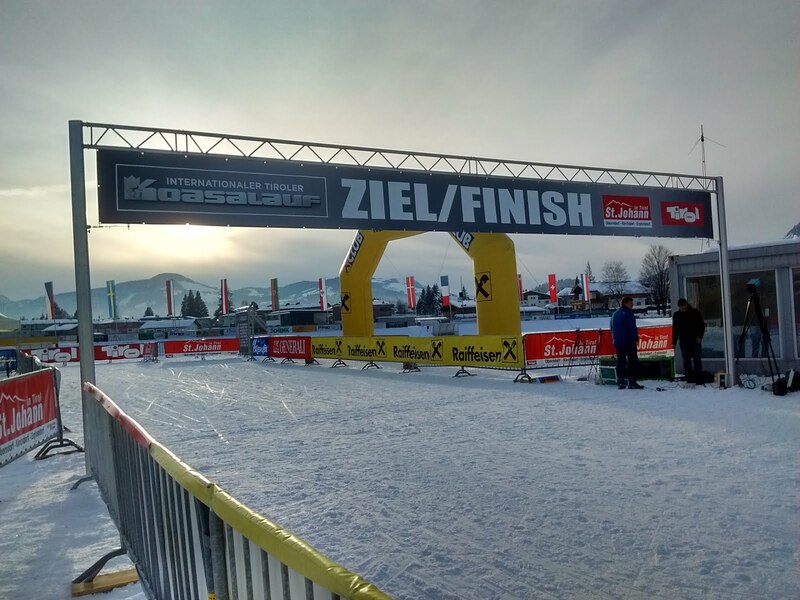 We managed to put a layer of LF7 on our skis before a race official approached and told us to leave. We had to scrape our skis in the parking lot and didn’t manage to put any high fluorinated wax on. Slow slow slow. Despite this, we went into the marathon excited to race again. 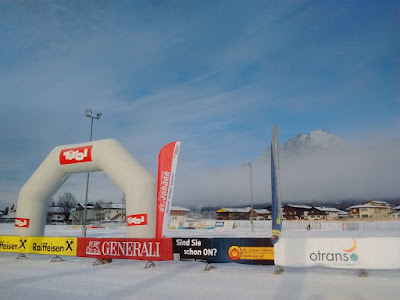 Fresh, warm snow fell right as the race started. It would have been beautiful, but because of the kick wax we used, ice chunks began accumulating on the bottom of our skis almost immediately. 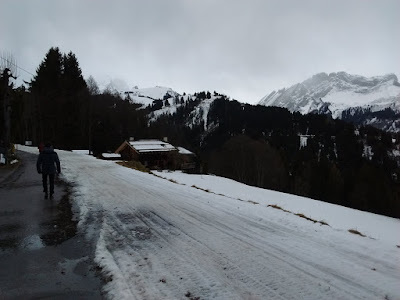 Both of us had to stop to get the ice off and Jackson, who had to take his skis off, rashly resorted to biting the ice off of his skis before a nice woman came to his aid with a scraper. 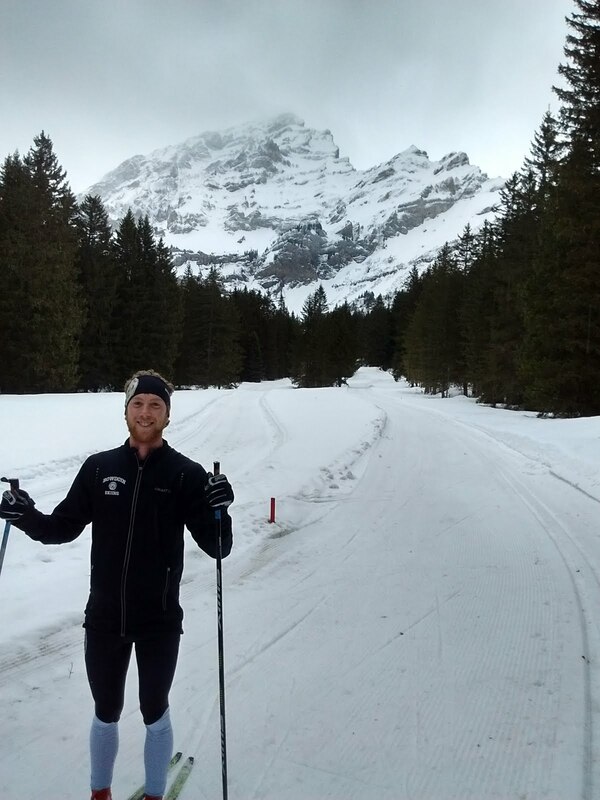 The snow stopped, both of us recovered, and we double poled the rest of the 47 km, finishing in 21st (Tyler) and 26th (Jackson). Exhausted, and wishing to avoid more waxing debacles, we gave our skate skis to the Toko Wax techs and went out for pizza. After a tough race, most people go into their next one with a chip on their shoulder. We chose back braces instead. 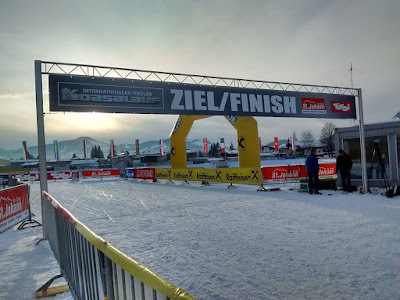 But, with our skis freshly waxed, we found some energy and set off for our second marathon in two days. This one went well. Both of us stayed with the lead pack of 14 skiers for 35 km, at which point Jackson fell about 30 seconds back. 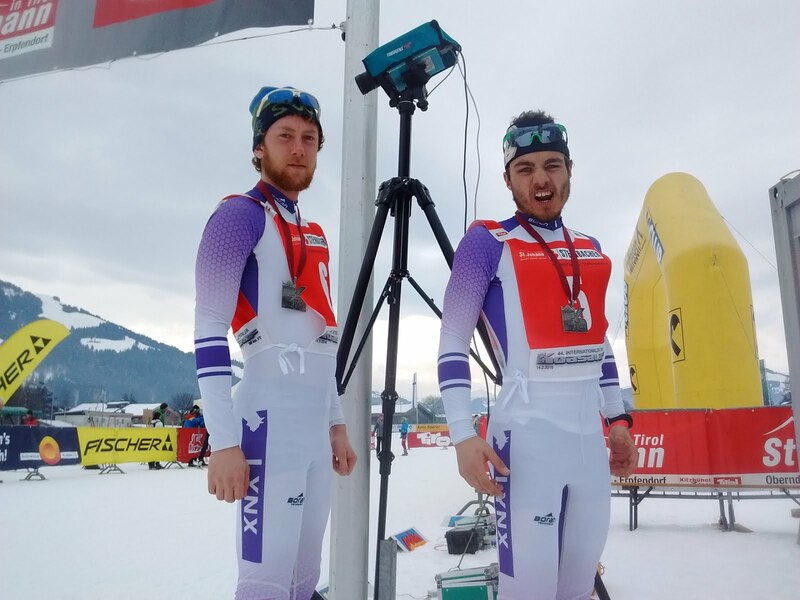 However, a stiff headwind on the last 15 km meant that it was strategic for the lead pack to ski slowly and Jackson caught back up with about 8 kilometers from the finish. Tyler got to lead the race for a couple of kilometers and the group stayed together until the finish, when everyone put in a furious sprint towards the line. Tyler ended up in 8th, only eight seconds out of 1st, and Jackson finished behind him in 10th. We are now in Tampere, Finland. Unfortunately, the next World Loppet, the Tartu Marathon in Estonia, was also cancelled. However, we’ve signed up for a Finnish Marathon called the Jami42, which we race this Saturday. Unlike a lot of Europe, Finland has some real winter and we’ve already done some great skiing as we prepare to race. Nice photos, as always, guys. 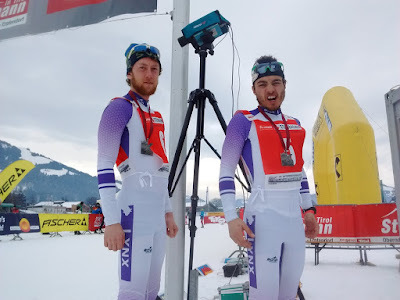 Congrats on your Austrian results, in spite of the waxing handicap, and good luck in Finland! Any more entries for A Loppeter's Guide to Cooking? Per and I spent lots of time in Finland and only learned one word: "kiitos". Fortunately it was a really good word to know! !